Composite image of the barred spiral galaxy NGC 1097. By studying the motion of two molecules, ALMA was able to determine that the supermassive black hole at the galactic center has a mass 140 million times greater than our Sun. 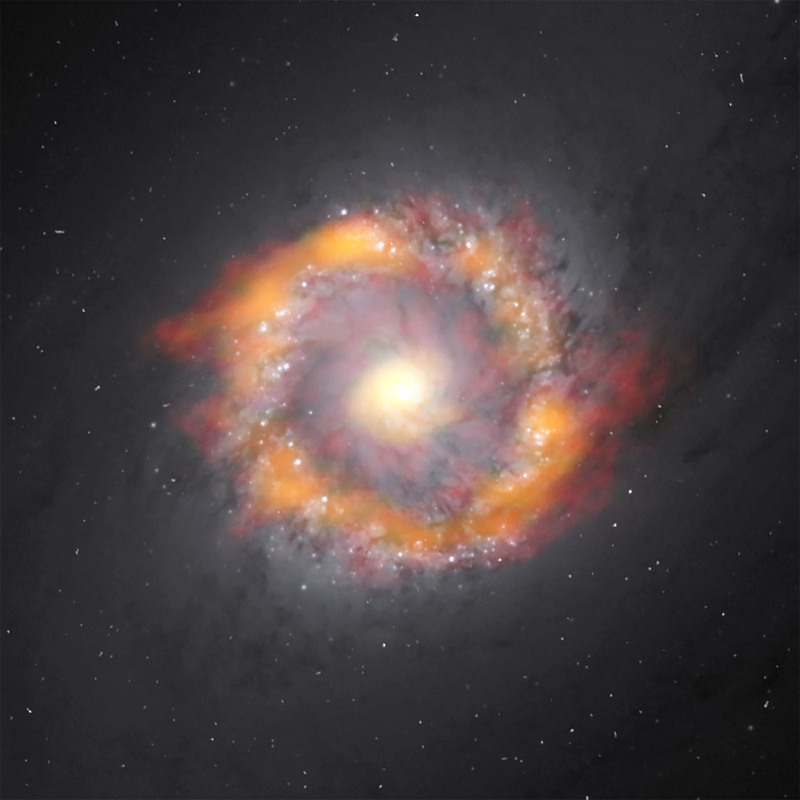 The ALMA data is in red (HCO+) and green/orange (HCN) superimposed on an optical image taken by the Hubble Space Telescope.